Dr. Andrea is a Omaha native. She is a graduate of Duchesne Academy of the Sacred Heart. After high school, she attended Knox College, in Illinois and completed her Bachelors degree, while lettering in basketball all 4 years. She then chose Palmer College of Chiropractic, in Davenport, IA to complete her graduate school and earn her Doctorate of Chiropractic degree. Dr. Andrea has been a chiropractic patient since she was a newborn. She had reflux problems and ear infections early in her life and the medical field could only offer medication and surgery to put tubes in her ears. Looking for another alternative, her mother brought her to a chiropractor. Soon after, her reflux resolved and she rarely had another ear infection. She continued regular care throughout elementary school and high school. She also found a chiropractor in Illinois and was happy to not be affected by the common overuse injuries other teammates were having due to the intense collegiate training schedules. The choice to become a chiropractor was an easy one for Dr. Andrea. After witnessing firsthand what it can do for her health, she was eager to be able to provide that service to others. While at Palmer, Dr. Andrea was fortunate to get an opportunity to travel to Fiji with the Clinic Abroad program. For many of the people there, this was their first adjustment ever! She was able to adjust over one hundred children which fueled her passion for pediatric chiropractic. That passion for treating children and expecting mothers has driven Dr. Andrea to pursue a deeper education in these areas. Post-graduation, Dr. Andrea combined her love for chiropractic and her love for traveling and moved to Peru, South America. She spent a few months there adjusting patients before returning to the States and working at Fremont Chiropractic Clinic for 2 years. 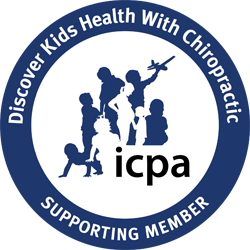 Dr. Andrea has spent countless hours furthering her education in the area of Prenatal and Pediatric Chiropractic with study and certification seminars through the International Chiropractic Pediatric Association. She is Webster Technique certified and has completed the full 100 hour program. The Health Practice was established in 2013. Dr. Andrea is passionate about her patients and chiropractic. She loves spreading this love through education and inspiration. Dr. Andrea would like to invite you to join her practice, stay healthy, and live life to its full potential.